Lisa started volunteering at Lovelane in 1990, and then served on the Board of Directors from 1993 to 2003. Since 2001, Lisa has been working at Lovelane in the office and as an instructor. Lisa graduated from the University of Delaware with a degree in Agricultural Economics and later received her Masters at Penn State University. She started volunteering with the program because she had ridden horses since her teenage years and had read about James Brady’s recovery using therapeutic riding. 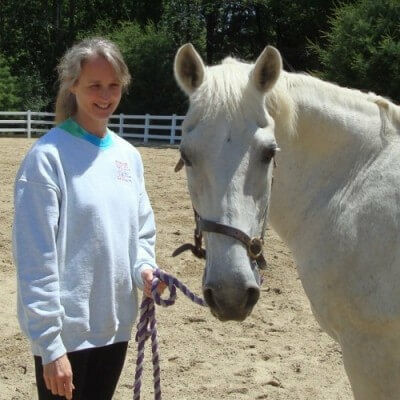 Lisa was first inspired by the individualized, therapy-driven philosophy and techniques of Debby, and continues to enjoy the progress she sees each week with the children and horses at Lovelane. She feels lucky to see how Lovelane students benefit from their individualized therapy here, and loves to see how proud the students are of themselves as they accomplish their goals! When she isn’t at Lovelane, Lisa loves to ride horses and spend time with her family and two daughters.